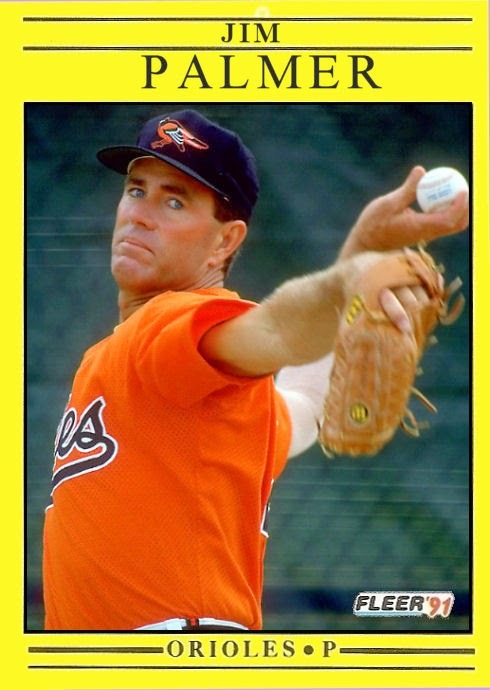 Nearly seven years after his forced retirement and just months after his enshrinement in Cooperstown, Jim Palmer reported to spring training for the Baltimore Orioles. At 45 years of age he was attempting a comeback. Palmer pitched 2 innings of an intersquad game, surrendering 5 hits including a home run, and 2 walks. On March 11, 1991 he faced off against the Red Sox. Pitching the first 2 innings, Palmer gave up 2 runs on 5 hits and a walk. Palmer clearly was not his old self. His fastball hovered around 80 mph and he struggled with control. 38 preseason pitches into his comeback, Jim Palmer hung up his cleats for good. 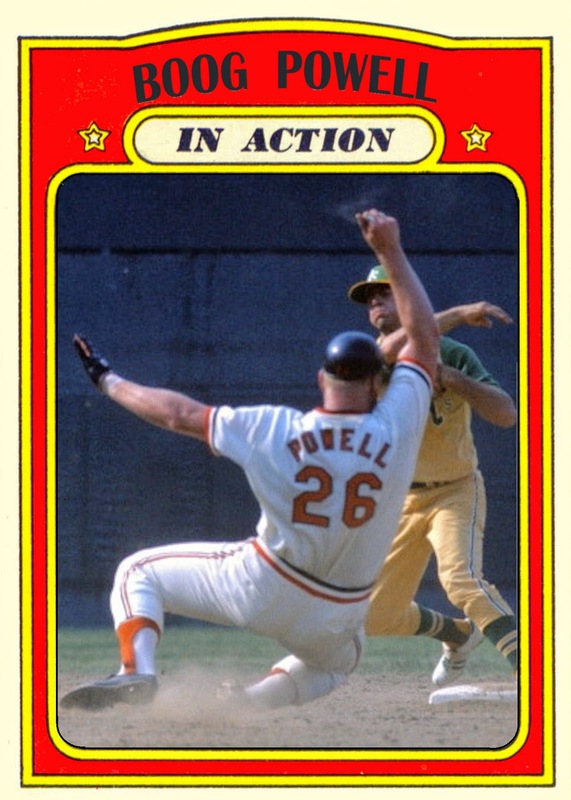 You just don't see the base-running Boog Powell action shot every day. But here is the big guy trying to break up a double play. Although I can't see his number, it looks like that might be Bert Campaneris with the throw to first. 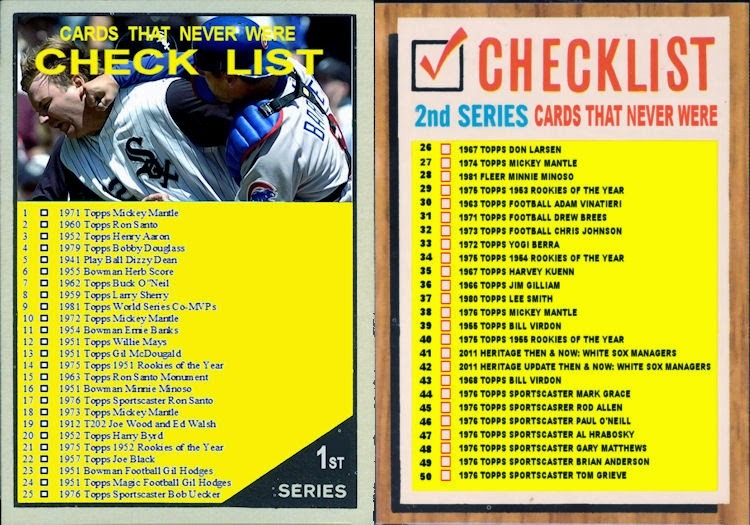 It's been a while since I've put together a top 5 "Fan Favorites" set. Just as a reminder, these are not necessarily the 5 best players from the franchise. They are just cards I decided to make of players that I like. So as David Letterman used to say before Stupid Pet Tricks, "This is only an exhibition. This is not a competition. Please, no wagering." 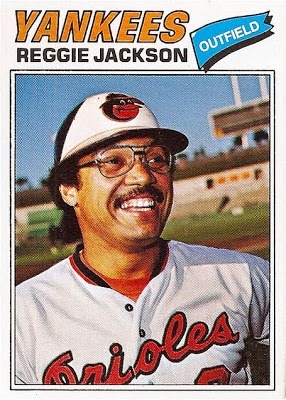 Reggie's season in Baltimore was never really preserved on cardboard. Although there have been several custom cards created in honor of his single season in Baltimore, this might be the first custom snack-cake-card. 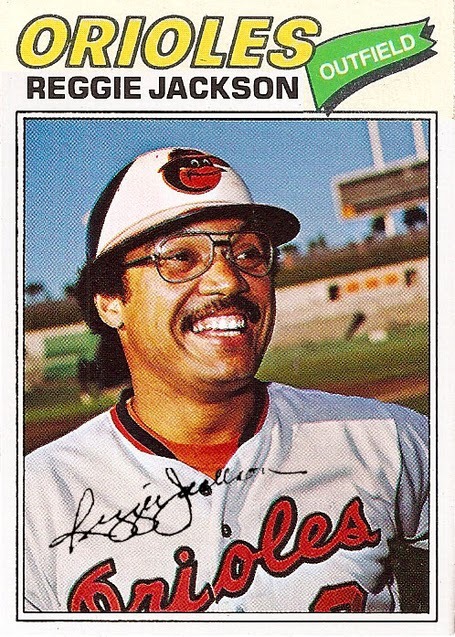 Reggie Jackson was traded to the Orioles just days before the start of the 1976 season. 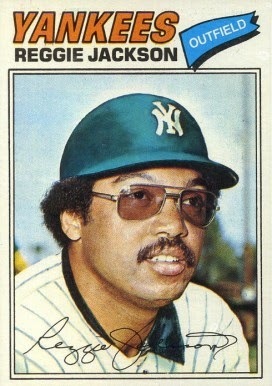 After the season he was granted free agency and went to the Yankees in November of 1976. 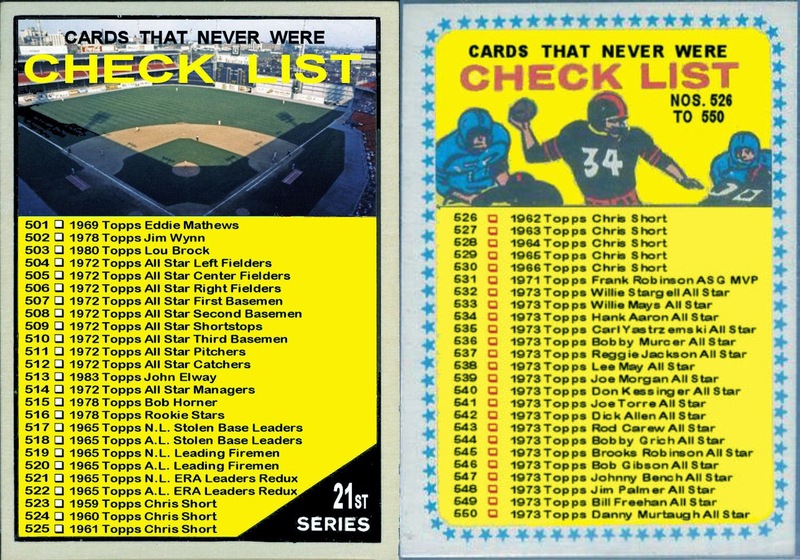 Topps went from having him in an A's uniform on his 1976 issue to a poorly airbrushed Yankee uniform on his 1977 issue. 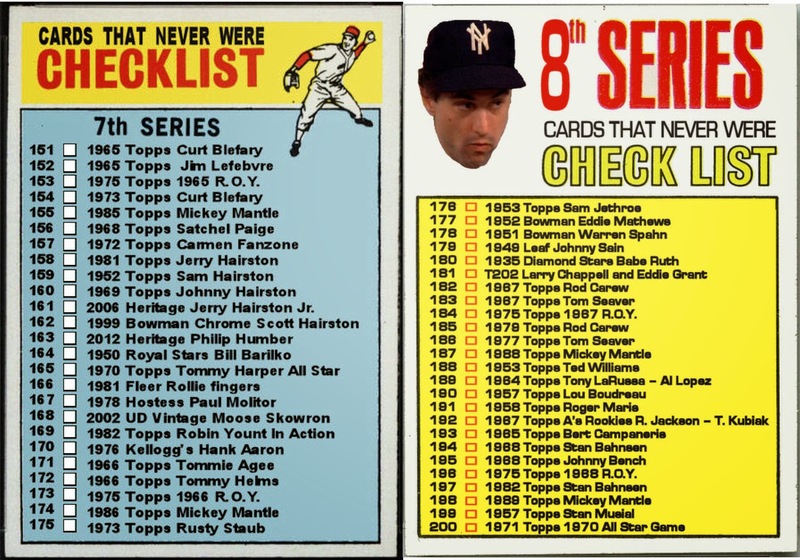 Topps did created a pre-release proof card of him in an Orioles uniform but on a Yankees card. By the time the actual set was released the photo was replaced with the airbrushed version. 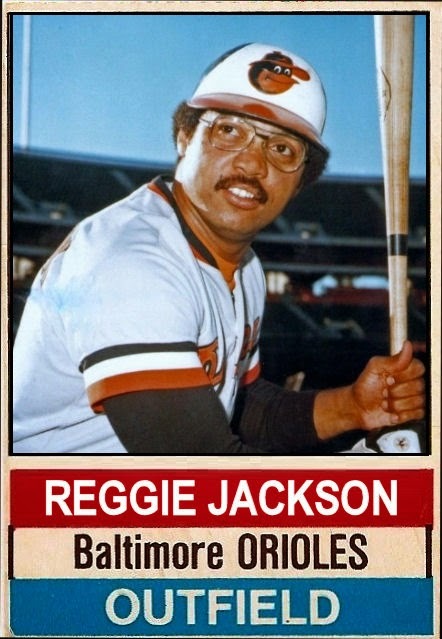 There have also been several custom cards of Jackson on 1976 Topps cards. Here are 4 I found with a quick google search. 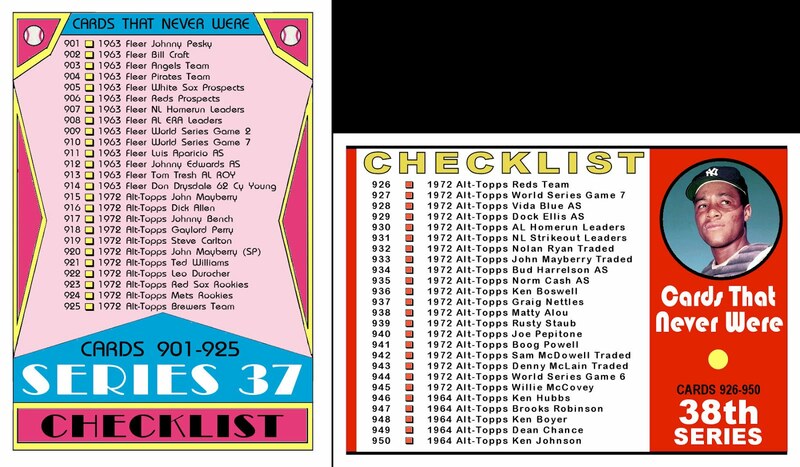 The 2 regular issue Topps cards are Bob Lemke's, the 1st traded card comes from White Sox Cards, the 2nd from The Baseball Card Blog. 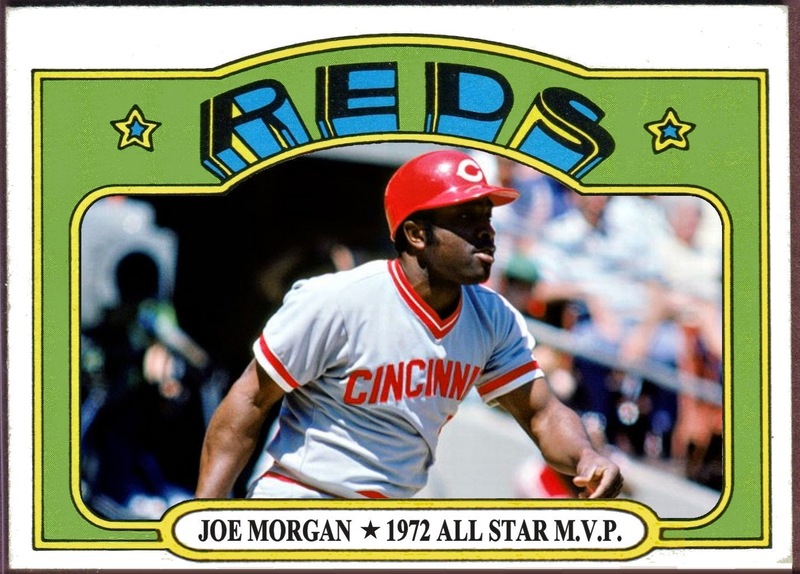 After going 0 for 3 with a walk during regulation, Joe Morgan had a walk-off RBI single in the bottom of the 10th to give the NL a 4-3 victory in the 1972 All Star Game. 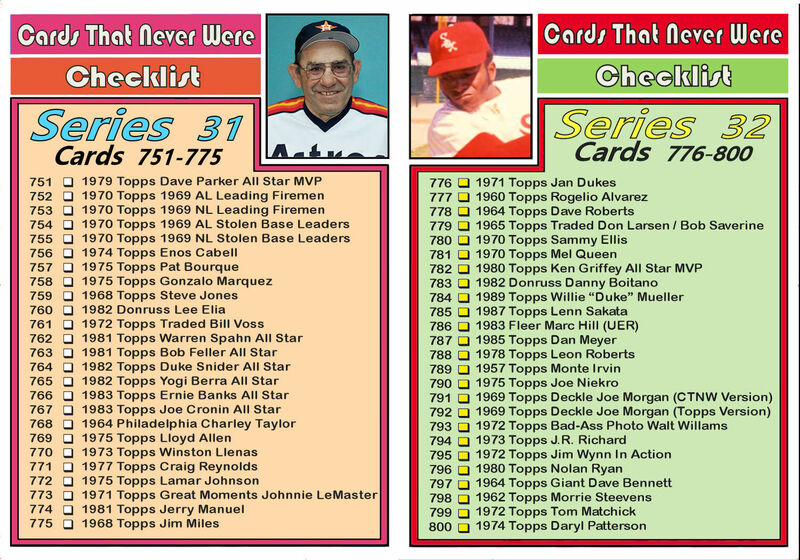 I started making horizontal variations of Topps cards a while back. 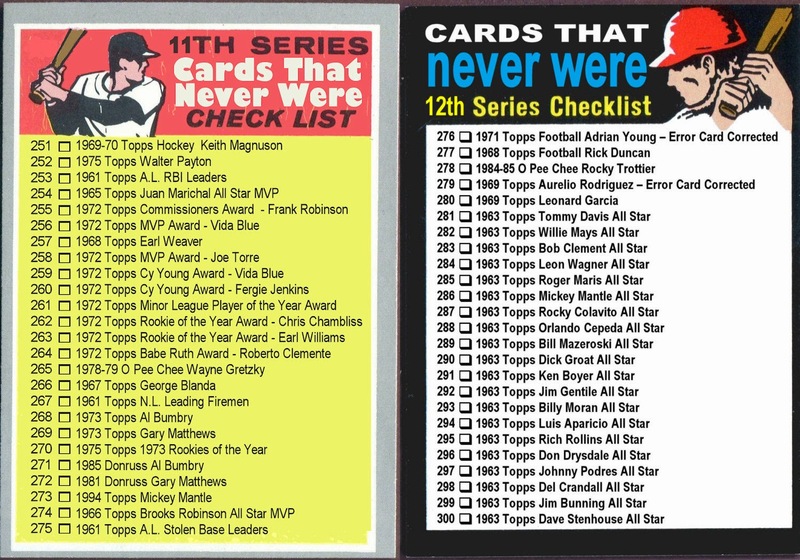 At that time I decided that I would use the All Star Game MVP as the subject of the cards. 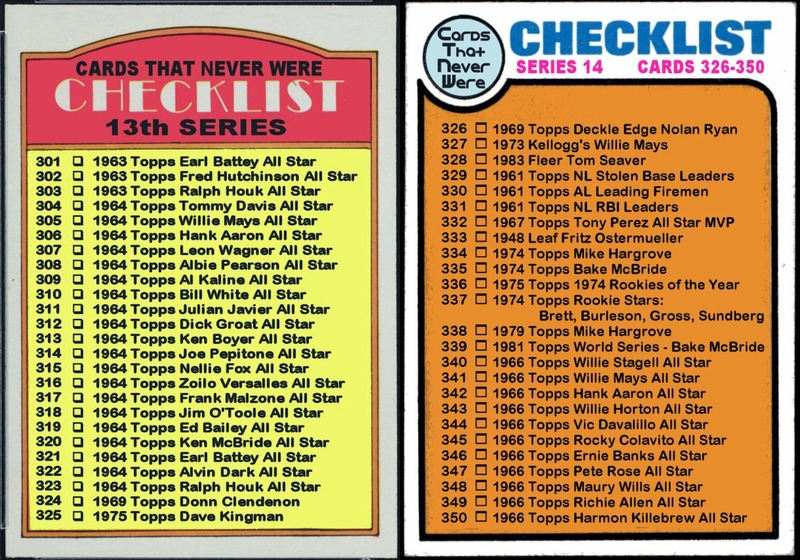 The strange thing is that when Topps started incorporating the horizontal variation into its set they just happened to put that season's All Star Game MVPs onto horizontal cards. In 1973 Bobby Bonds was the All Star Game MVP. He came in to the game as Billy William's relief in left field. He had a 2-run homer and a double in his only at bats. 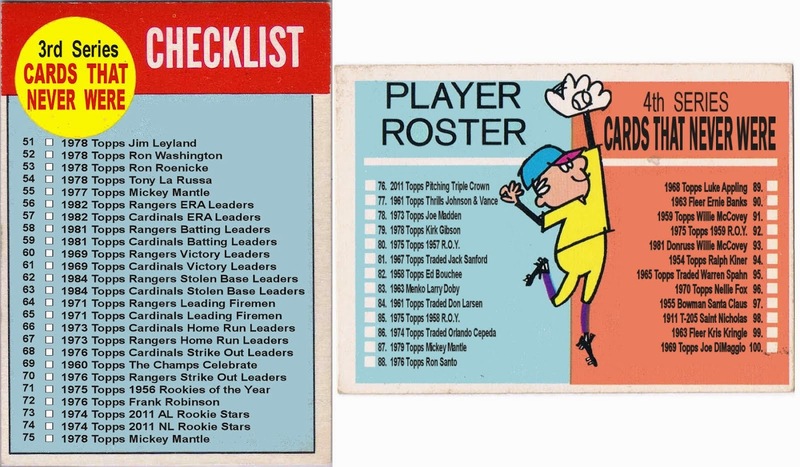 This is his actual 1973 card. 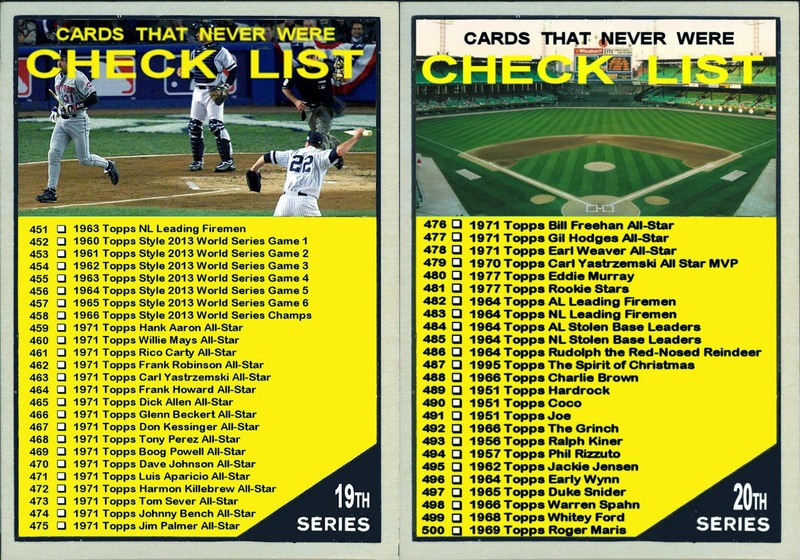 Hall of Famer,Willie Stargell makes a cameo on this card. He also made a brief appearance in the 1973 All Star Game. He pinch-hit for Chris Speier and struck out. In 1974 Steve Garvey was the All Star Game MVP going 2 for 4 with a run scored and an RBI double. The NL would continue their dominance with a 7-2 victory. Garvey would also be named the National League MVP for the 1974 season. I can think of no player in any major sport to win the post-season MVP award one year, then win Rookie of the Year honors the following year. But that is exactly the case with Ken Dryden. Ken Dryden won the Conn Smythe Trophy in 1971. He was the goaltender for the Canadiens that held off my beloved Blackhawks in 7 games to win the Cup. But with only 6 regular season games he was still eligible for NHL Rookie of the Year honors in the 1971-72 season. 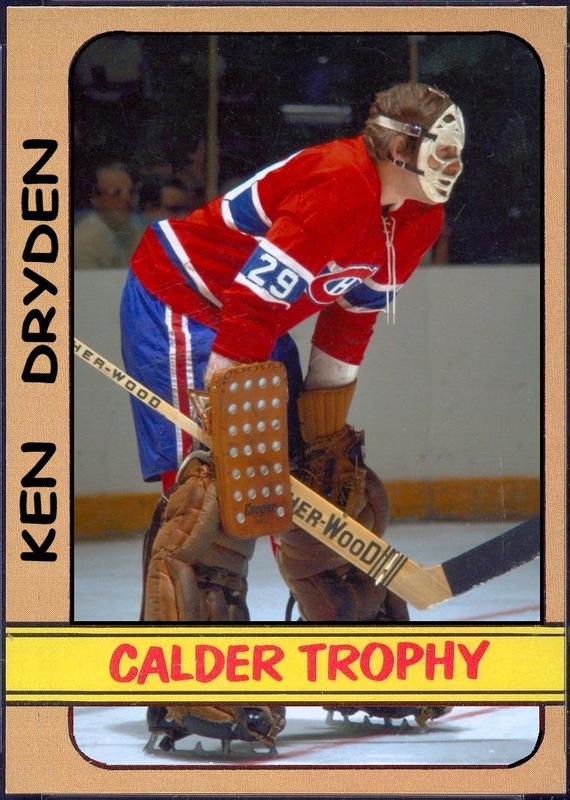 Under the new coach Scotty Bowman, Dryden and the Canadiens improved from 97 points in 1970-71 to 108 point in 1971-72 earning Dryden the Calder Trophy. Over his career, Dryden would go on to win 5 Vezina Trophies as the league's top goalie. He was elected to the NHL Hall of Fame in 1983 and served in the Canadian Parliament from 2004-2011. 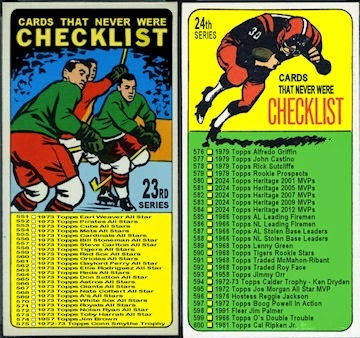 The actual 1972-73 Topps Calder Trophy card depicted the trophy itself. Although it is a very nice looking trophy, I think most collectors would prefer a card of the award winner. 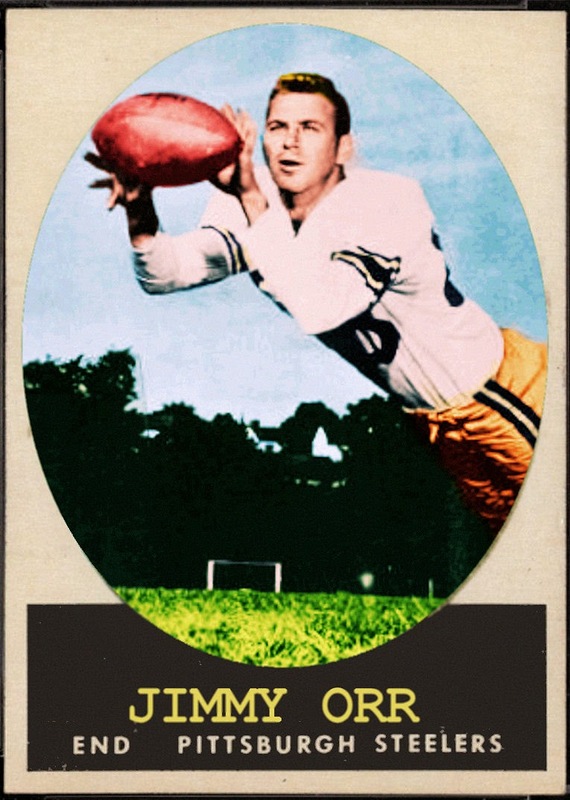 Jimmy Orr was the NFL's Rookie of the Year in 1958. He was the 291st player picked in the 1957 draft. He was picked in the 25th round by the L.A. Rams. The Rams intended to use him as a defensive back but he was traded to the Steelers before the start of the 1958 season. The Steelers put him at flanker where he scored 7 TDs on 910 receiving yards. He was drafted lower than any pro football player (AFL or NFL) who won Rookie of the Year until 1983 when kicker Paul McFadden was drafted 312th overall in the 1984 draft. 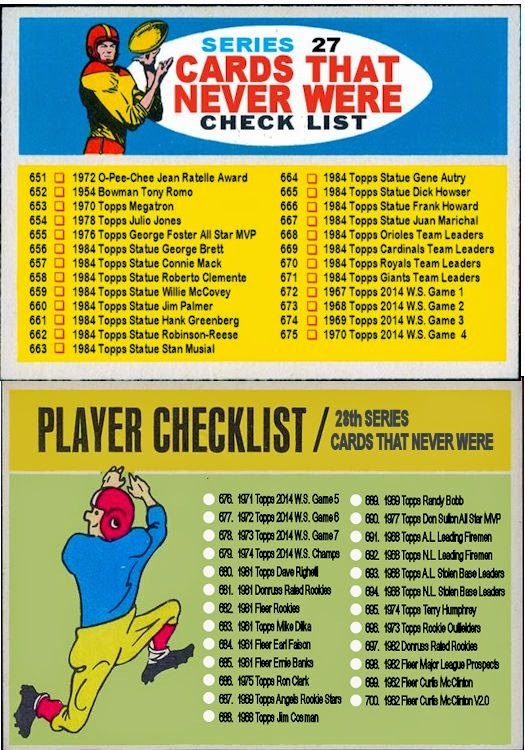 In my last post I made a couple 1968 Topps Tiger cards by request. In this post I am taking it a bit further. Truth is, I've been wanting to play around with "Traded" card designs for a while now. This is just my excuse. 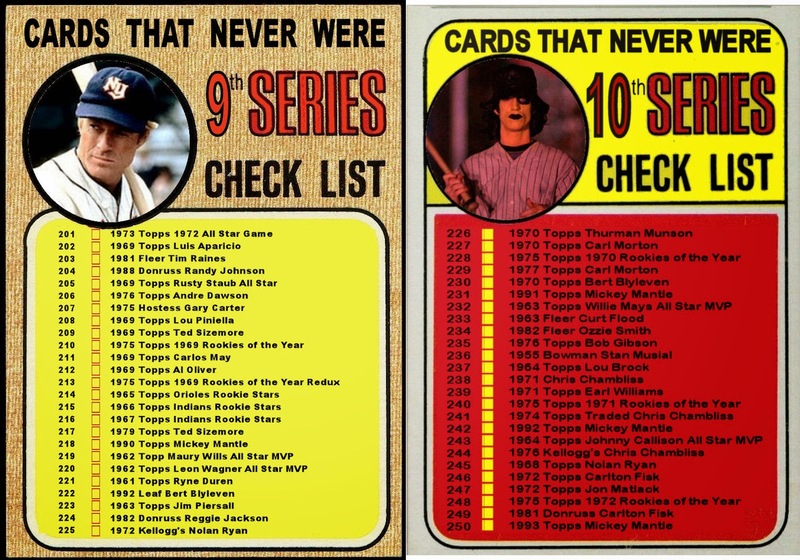 The idea of a 2-player traded card was flat out stolen from blogger Warren Zvon and his Mets Fantasy Cards blog. 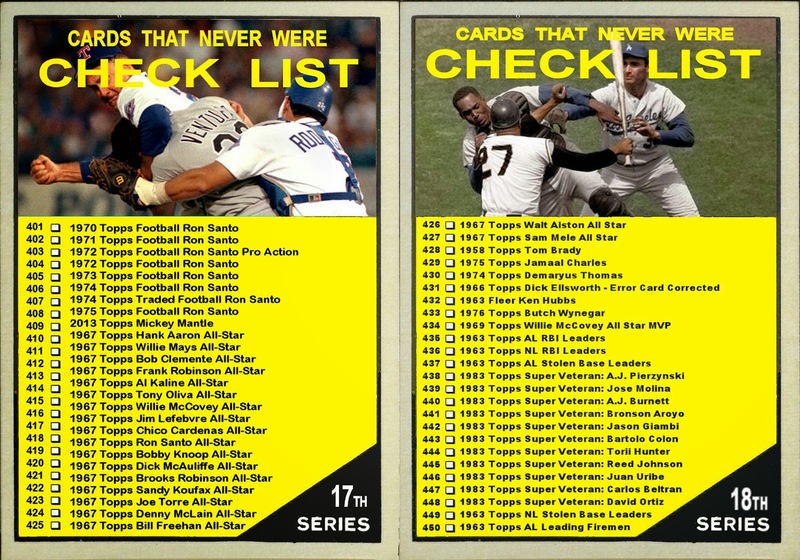 He has several great card variations on his site. Many of which I plan to steal in the future. 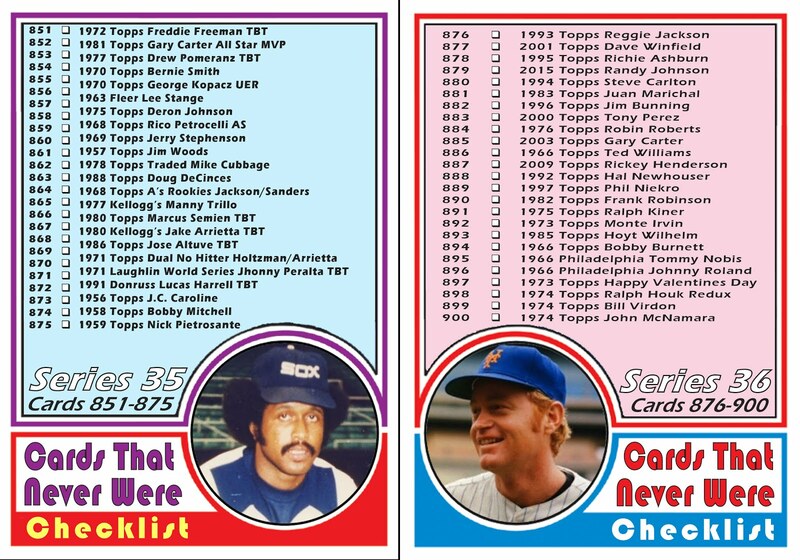 Both of these players had 1968 Topps cards. 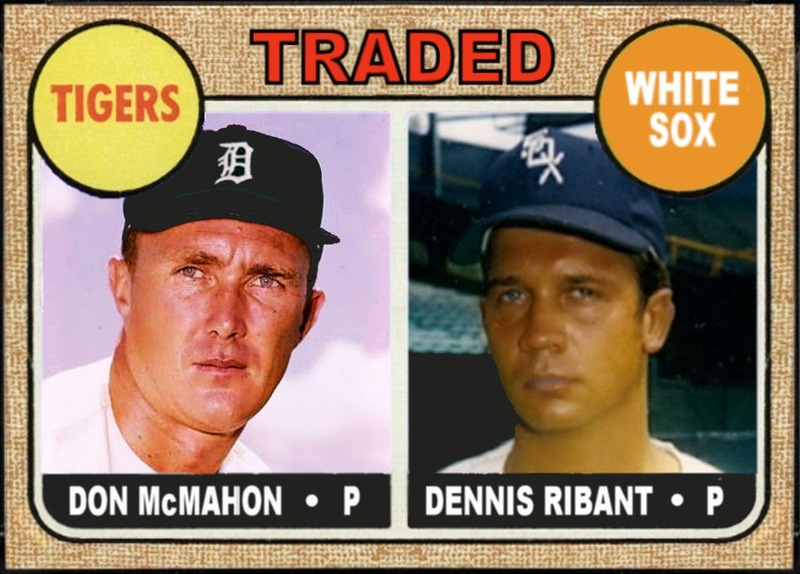 Don McMahon on the Sox and Dennis Ribant on the Tigers. In their pictures neither of these two guys look particularly happy about the trade. 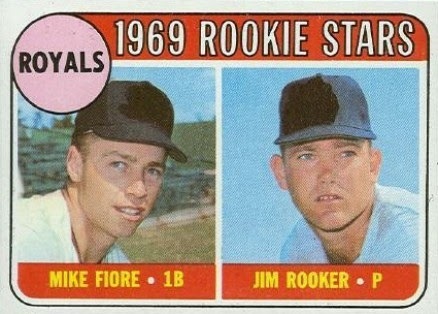 The two relievers were traded for each other on July 26, 1968. The Tigers were apparently going for experience down the stretch trading Ribant for a pitcher nearly 12 years his senior. But McMahon ended up staying in the game 5 years after Ribant washed out. Veteran relief pitcher, Roy Face was actually a late season pick up by Detroit. He only made 2 appearances in a Tigers uniform. In 1969 he was picked up by the expansion Montreal Expos. He was 4-2 with 5 saves but was let go again toward the end of the season. Yep, I do requests even for anonymous comments. 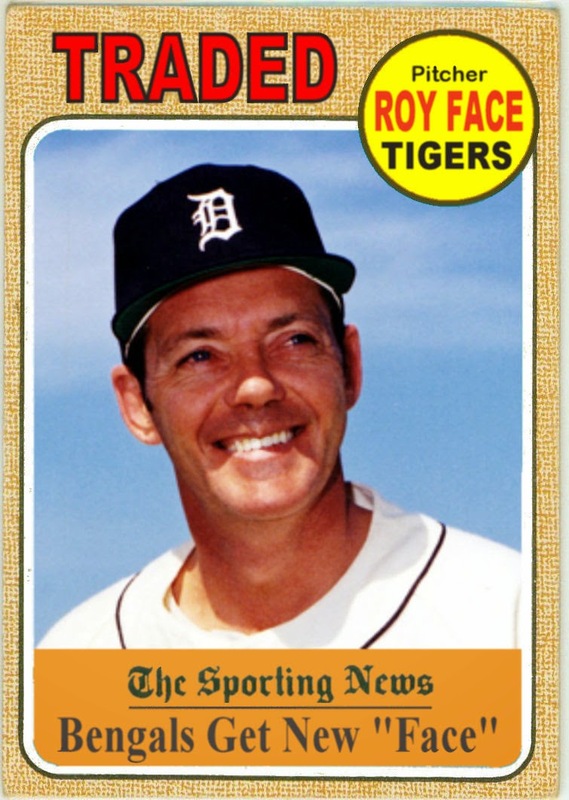 "Anonymous" asked me if I could make some 1968 Detroit Tigers. He specifically named Lenny Green and Jim Rooker. 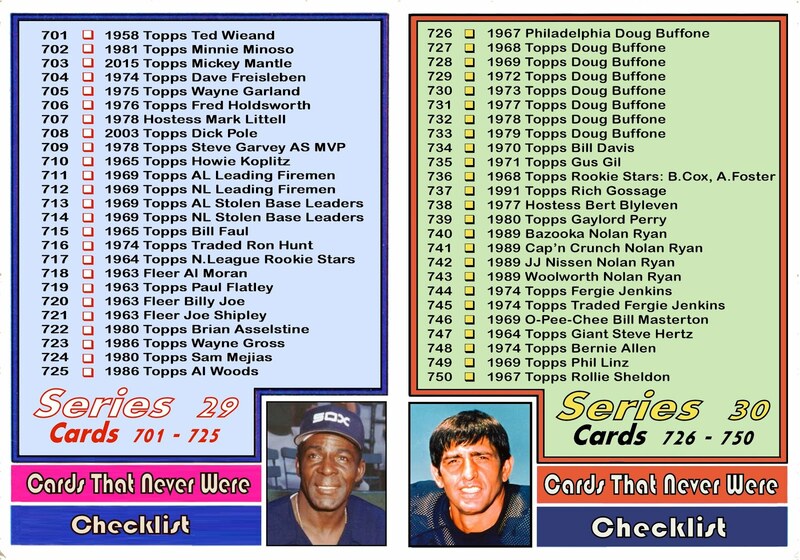 Lenny Green's last Topps card was in 1966 on the Red Sox. 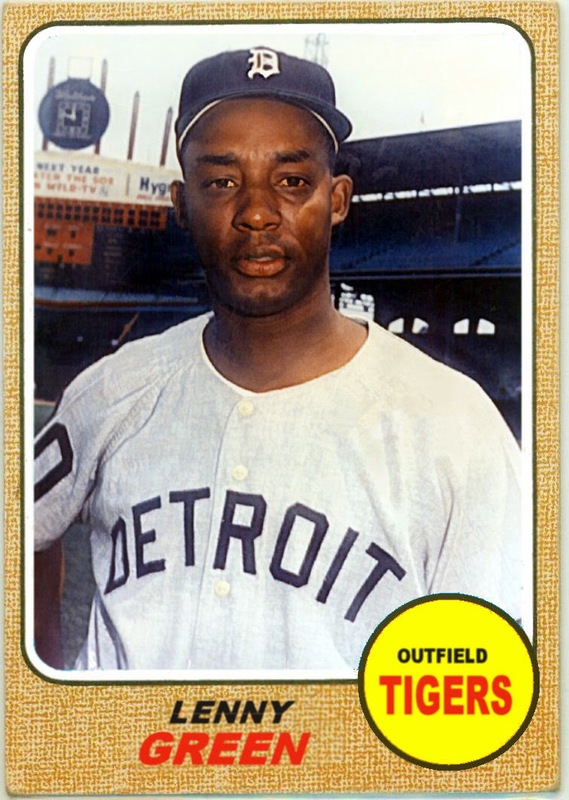 After being released by the Bosox at the end of 1966, he was signed by Detroit and played 58 games, batting a respectable .278. He only played 6 games for the Tigers in 1968 before being released mid season. 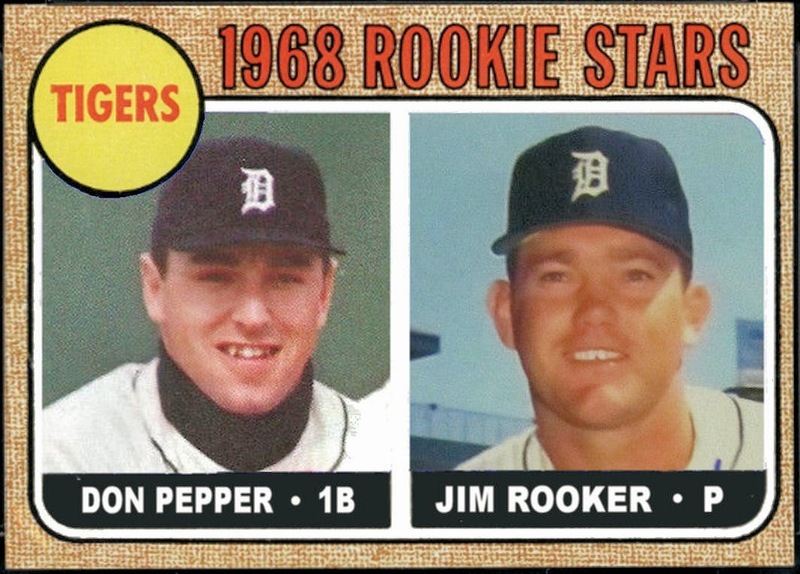 Jim Rooker pitched his first MLB game for the Tigers in 1968. He came in with the Tigers down 7-0 to the White Sox in the 4th inning at Tiger Stadium. In his first inning he gave up 2 runs on 2 singles, a double and 3 stolen bases. 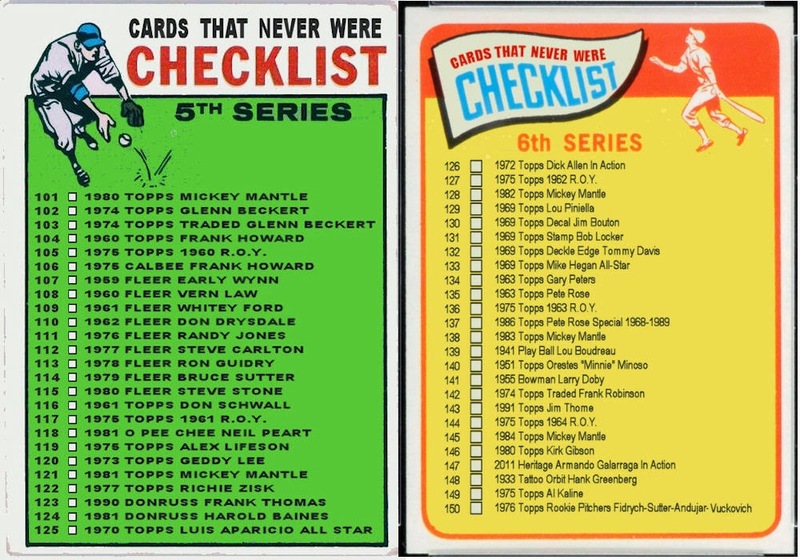 He would make his baseball card debut in 1969 on the Royals Rookie Stars card with a poorly touched up cap. Don Pepper never actually played for the Tigers in 1968. The closest he came was when he came up for a cup of coffee at the end of the 1966 season. 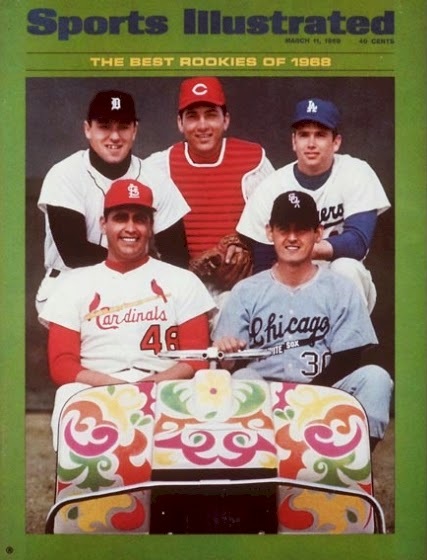 I included his photo because he was featured on the 1968 Sports Illustrated cover along with the other "Top Rookies" of 1968 along with the eventual Rookie of the Year, Johnny Bench. 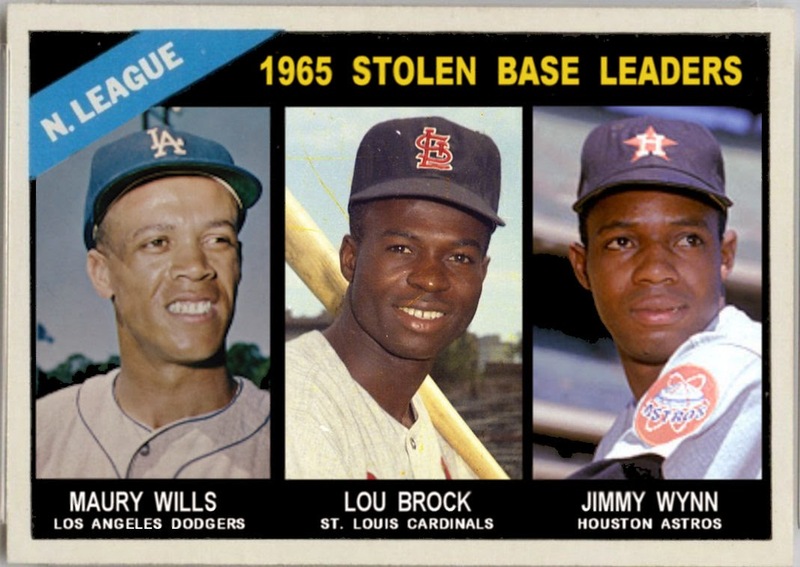 Maury Wills tore up the base-paths again in 1965, stealing 94 bases. He was also caught stealing 31 times to lead the league. 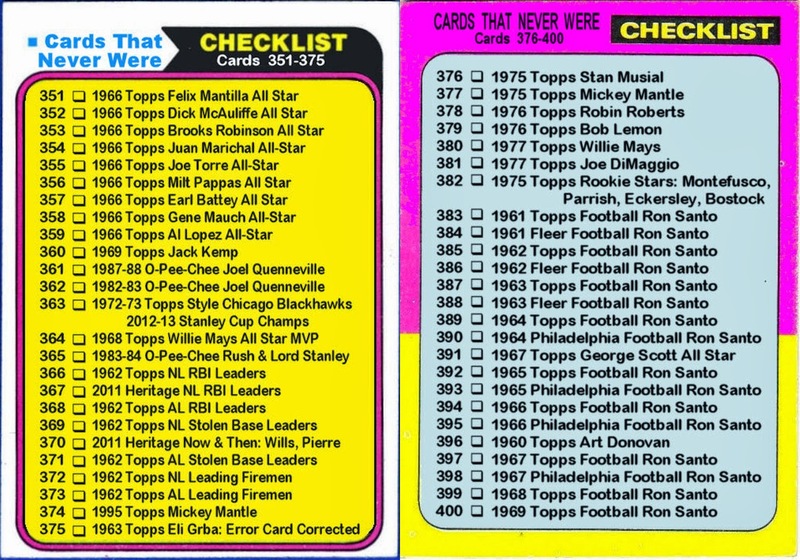 Lou Brock had 63 swipes and was thrown out 27 times. Brock's 27 failed attempts was the highest since Bernie Friberg in 1924. Wills' 31 was the highest since Ty Cobb in 1915. Rounding out the top 3 is the "Toy Cannon" with 43 stolen bases to a mere 4 times caught stealing. 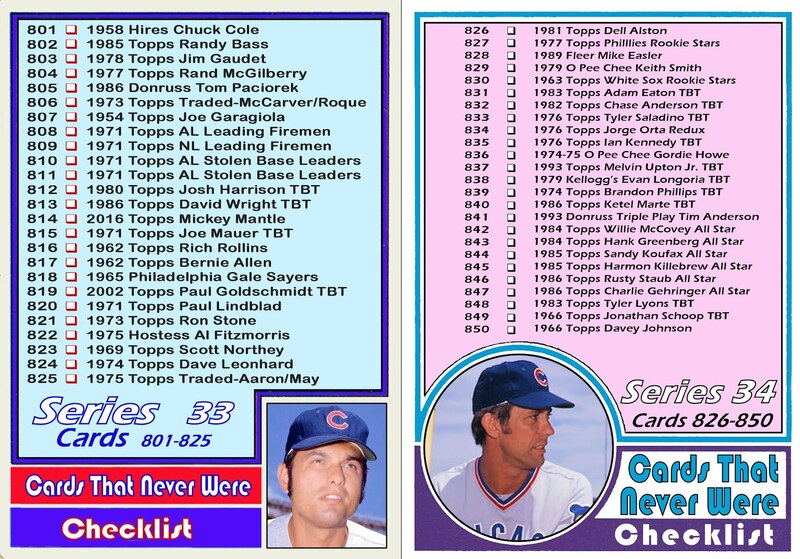 1965 was a big year for Bert Campaneris. In addition to leading the league with 51 stolen bases he was caught stealing more than any other player in the AL. He also led in triples and hit-by-pitch. 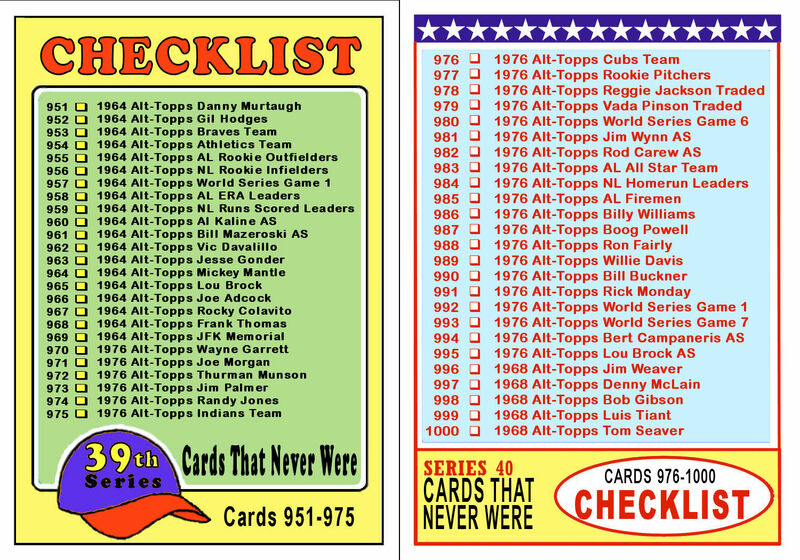 On September 8, 1965 Campy played all 9 positions (click here) even pitching left-handed to Albie Pearson. One of the players who faced a right-hand pitching Campaneris was Jose Cardenal who was 2nd in the AL with 37 stolen bases. Campy got Jose to pop out to 2nd. 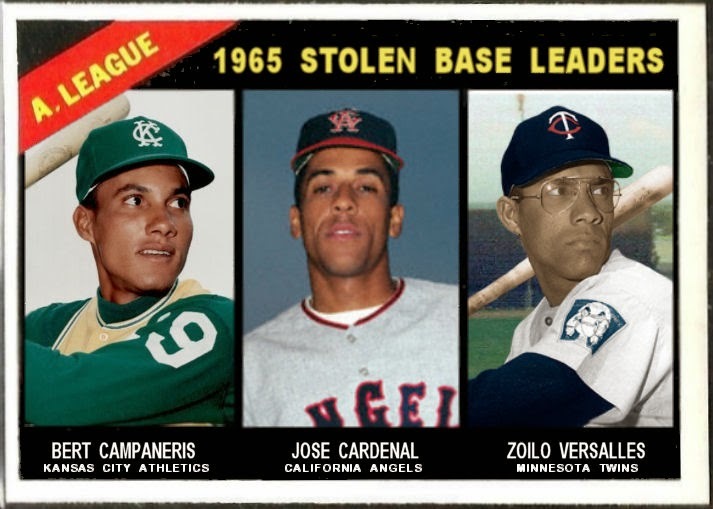 The 1965 AL MVP, Zoilo Versalles was 3rd in stolen bases with 27.